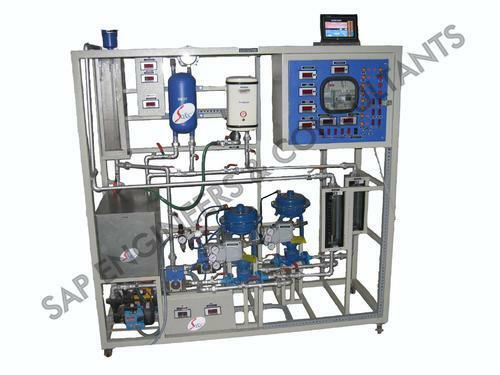 PLC Based Multi Process Control Trainer manufactured by SAP Engineers & Consultants is for studying various control loops. As it is a very flexible and modern system, this can be used in various industrial processes like feedback, ratio, cascade, split range control. Thus, it is essentially used for elaborating the study of process parameters in relation to flow, level, pressure and temperature. PLC Based Multi Process Control Trainer system is designed with transducers, actuators, PID and computerized control with SCADA Application Software.